Oh hey there! Long time no outfit post, right? I decided to take most of summer off from blogging because, to be honest, I’ve been feeling a wee bit lost. I completely and utterly love it, especially the writing side of it, but I felt like I needed to take a step back from it and find my place again. There’s been such a shift from blogs over to Instagram and I’ll be the first to admit that I don’t read blogs nearly as much as I used to. If I can't swipe up to read a post there and then I'll very often forget to come back to it because my poor grandma brain can't hold a to-do list for more than three minutes. Which is mad, because I love how personal blogs are and how much better you can get to know a person through them rather than what can be squeezed into one short Instagram caption. 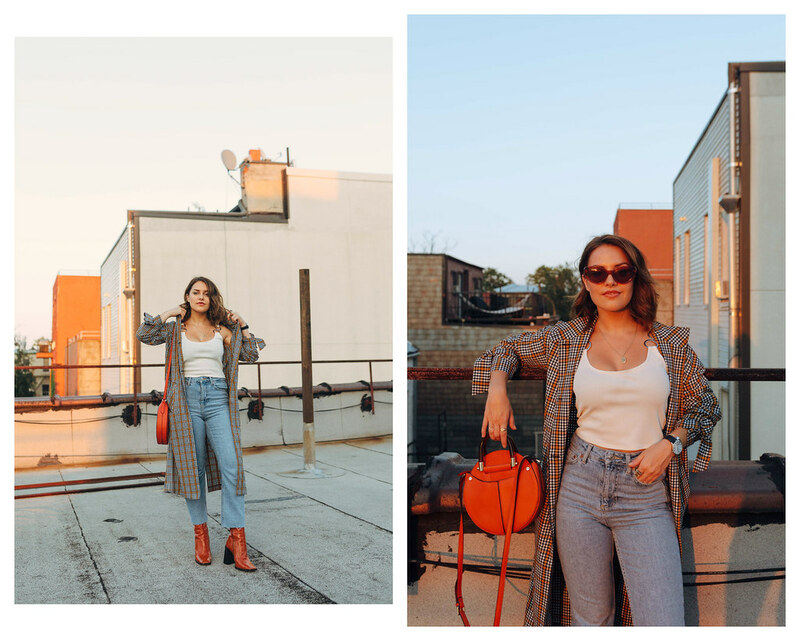 Instagram has made everything much more, well, uh.. instant, so you can now see in one post what you used to look for in a blog post (do I like that jacket, yes, is there a tag for where I can buy it, a-yes) so it's so easy not to click through to read a post, but it does make me sad that there isn't as much buzz around blogging as there used to be. I just needed to take some time away to find where I fit, I guess, but at the end of the day my blog's my wee baby and I absolutely love to write so I'll soldier on until the day it's only me and my Mum reading it (and that'll be because I'm slipping her fivers under the table). Travel posts are my absolute favourites to put together, they often take days upon days but I enjoy every second of it. Well, almost every second; the part where it’s nearing the end of the day and I’m hunched over a laptop like Quasimodo with sandpaper eyes isn’t quite as fun. So the travel posts will continue! But rather than doing daily outfits or singular outfits like I used to I think I might change it up a wee bit and bulk a couple of looks together in one big post. With some occasional 'one-look' posts like this one here and there. I also want to do more skincare and beauty-based posts, which I've shied away from oh-so-often because I'd convinced myself I needed to know more about it first. But here we are years later and I still don’t know much about skincare and beauty and, although I’ll never have the fountain of knowledge that some people do, I realised there’s nothing wrong with sharing some favourites and telling you how they work for me personally. Maybe one day I'll know a bit more about the different types of acids and essential oils and... things, and then I'll be able to get a bit more clinical with you. Another reason I've been a little quiet is that I've secretly been habouring a four year old child that I forgot to tell you I birthed. No, I jest - I've developed another allergy/intolerance in the past six months and I cannot for the life of me work out what it is. So I would say almost every day bar maybe two or three I've had bloating and swelling in my face (it kind of looks like someone's pumped water in to it a lot of the time) as well as perioral dermatitis on and off - is this... tmi? I can't tell - so I just haven't felt like myself for a long time. You'll know yourself how shite it is when you have a day where you look a bit off or just not 'you' and, as a large part of my job involves taking photos of said water-filled face, it's really knocked my confidence. I have an allergy test booked in a few weeks for when I'm home so fingers bleedin' crossed I can get to the bottom of it. If not then I'll just have to hope paper bags are going to be big this A/W. October will still be relatively quiet as I’m taking the first two weeks off for holidays and the second two weeks I’ll be content planning and shooting but, as of November, you can expect it to be a bit more happenin’ around these parts. On that note, thank you to everyone who’s stuck around - without going all Tom Cruise on you I can’t tell you how special it is to receive a blog comment, especially one where someone has really read or resonated with what you said. That’s what I loved so much about this post here, I felt like we were all at a big online slumber party sharing secrets. So, thank you very much for sticking around. I'd also like to thank my Mum, my boyfr- wait, why are they playing the music? No, stop, I have so much more to say! What an awesome look! Love the boots so much! Amy! I read this post earlier but wanted to come back to it later when I had a bit more time to leave a proper reply. THIS IS A LONG ONE. I’m sorry to hear you’ve been feeling a little lost but for what it’s worth, I think most successful bloggers go through this phase! I will admit I read fewer blogs now but I don’t think it’s because I want to consume content quicker, I think it’s more because I have to read blogs at work – so it’s all become a bit work work work for me! HOWEVER, there are absolute exceptions to this rule… As I’m sure you know, I blaady love your blog – your personality shines through in your writing, and I think that connection you have with readers is hella rare. 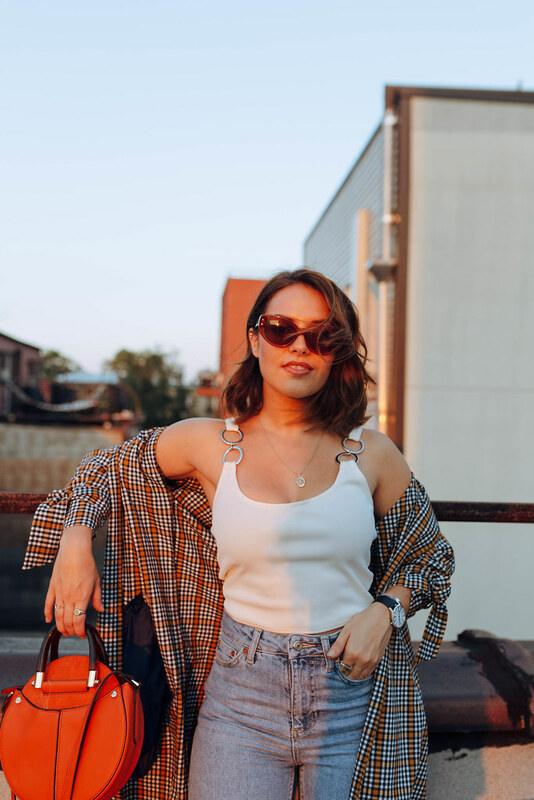 I remember I always use to rep your blog to randos and now everyone knows who you are, but you haven’t changed – your content and photos have just got better! Which brings me to this post. Beaaaaut! You should be in a glossy mag. Loving the styling and composition. I think your plan to mix it up, so you can to reignite your passion, is a great one. Although I’ve worked on lots of IG campaigns at work, companies (in particular, travel brands) love blogs and as you said – it works so well for travel content. I have sooo many travel blog posts saved and it’s how I choose where I go next. I still LOVE your bulk outfit posts though. Yes to more skincare and beauty posts – I’m sure most of your readers won’t know everything about this topic either, cos if they were experts they’d probably be reading the beauty pros’ blogs. Am I right!? love the booooots!... 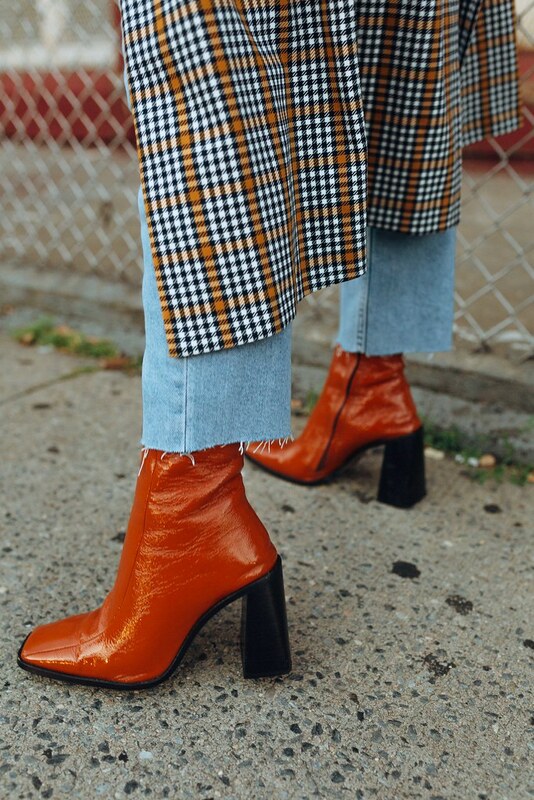 who knew I needed orange patent boots?! i hope very much you stick around with the blog posts - i now do a bulk read of peoples posts every couple of weeks on bloglovin so i never miss anything! 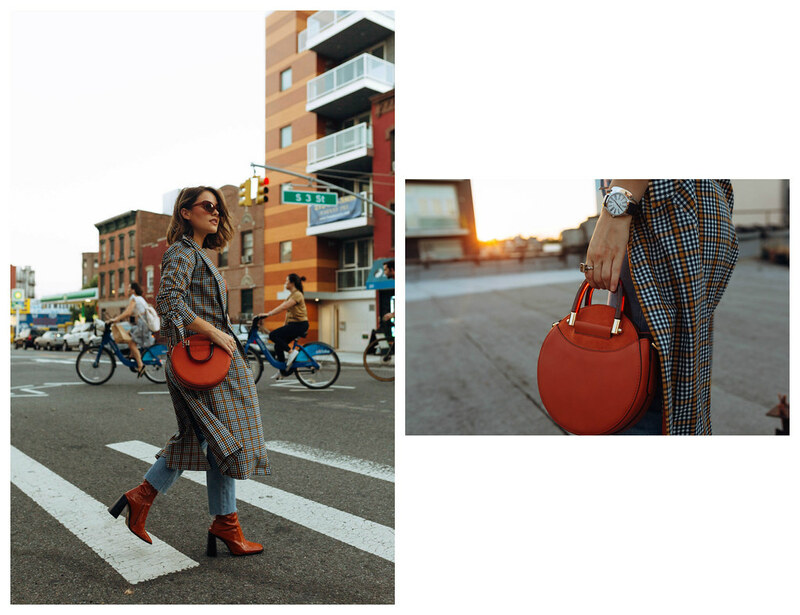 I do love instagram but how fast fashion is on there makes me a little sad!